Pirates are resourceful creatures, but they're going to have to have their wits about them when it comes to the 3DS. If you want to pirate games, then software updates can really spoil your day, but dodging DS software updates is ridiculously easy, as they have to be manually downloaded and installed. Avoiding updates might a touch harder on the 3DS however, as the handheld might download them without asking you, or install them from a new game. 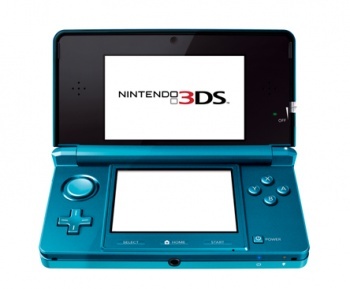 Nintendo has packed the 3DS full of things it can do without you having to press a button. The SpotPass and StreetPass functions let the 3DS grab a load of data while it's in sleep mode by looking for other 3DS owners or open Wi-Fi hotspots it can use. Nintendo is looking into using this functionality to make the updates automatic, rather than use the aforementioned, easily dodged, manual method which Nintendo CEO Satoru Iwata said that DS owners didn't really do very often. If you've got your heart absolutely set on piracy, then you also need to avoid boxed games, as the increased storage capacity on 3DS cartridges means that Nintendo can include firmware updates on them. Although, if you do have your heart set on piracy, avoiding boxed games is kind of the point. Iwata said that preventing piracy would be a secondary goal of the updates, and that the main aim would be to bring new functionality to the 3DS. Given the precedent set by recent DS updates that seem to do very little except block certain piracy-enabling flash cards from working, it's hard not to be a little skeptical of that statement, but with the 3DS said to be a tougher nut for pirates to crack, it might be truer than it seems.